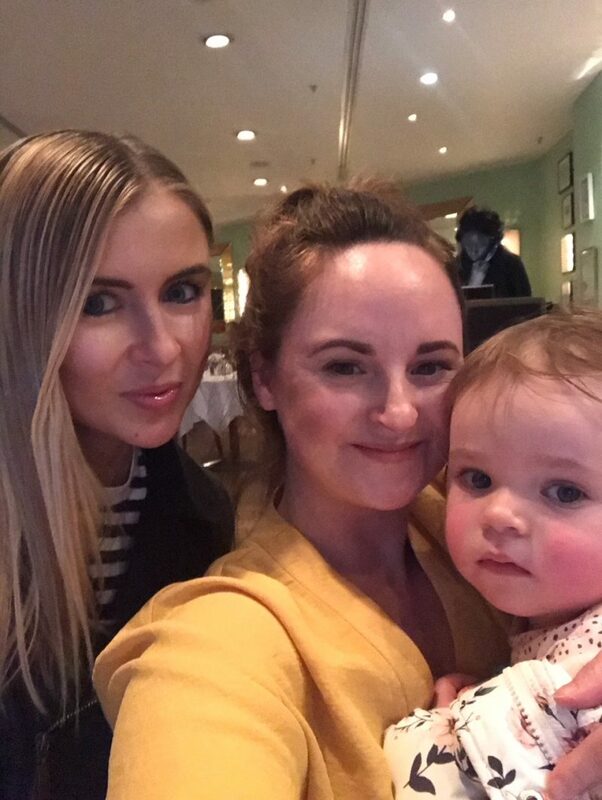 On Tuesday evening just gone, I took my friend and her little 2 year old daughter to dine at The River Restaurant, at The Lowry, for a birthday treat. It’s not often I pick to dine out at a hotel if I’m not staying there. However, as most high class Manchester hotels offer a luxury and premium stay, it’s quite standard to expect a quality dining abode. 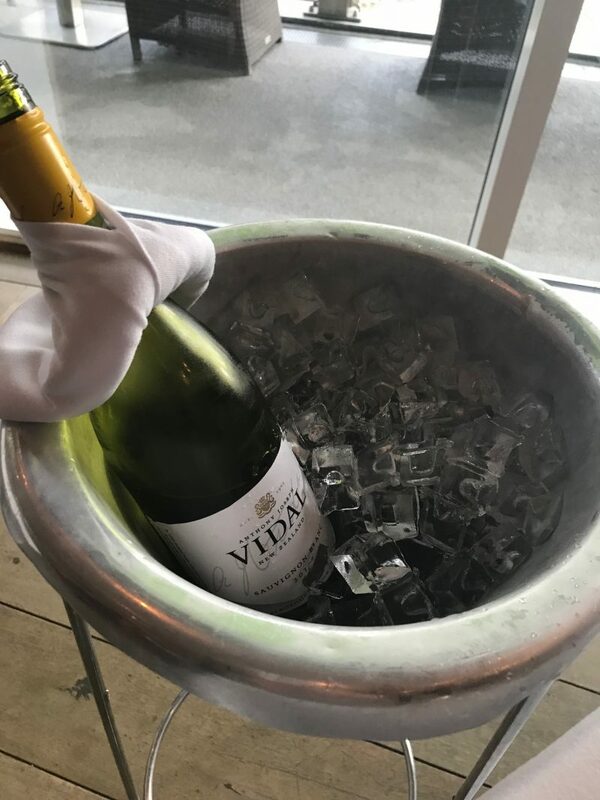 If you want to head out for a fine dining experience, it’s actually worth checking out hotels in the same way you check out Manchester’s other fine dining establishments. 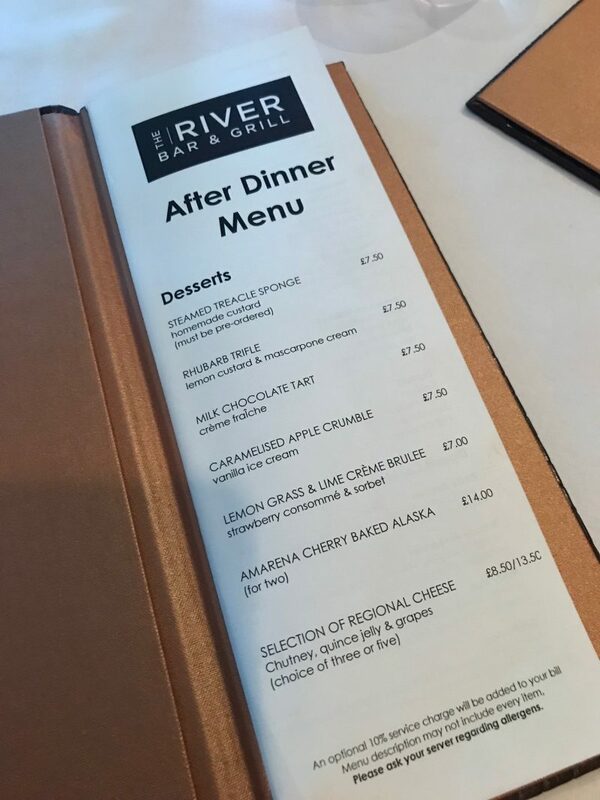 I did just that this week, after hearing about the new menu at The River Restaurant at The Lowry Hotel, 50 Dearmans Place, Salford, M3 5LH. I’ll be honest. 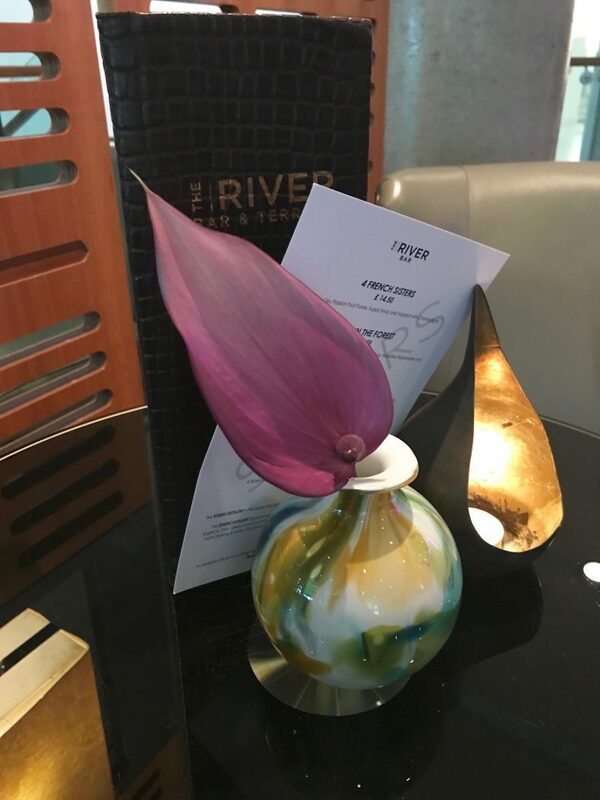 As much as I love quirky street food, sharers, tapas and small plates, it was music to my ears to hear that Andrew Green, executive chef at the River Restaurant in the five-star Lowry Hotel, focuses on big, bold plates. Hearty meals, based on classic British recipes and fresh local produce. 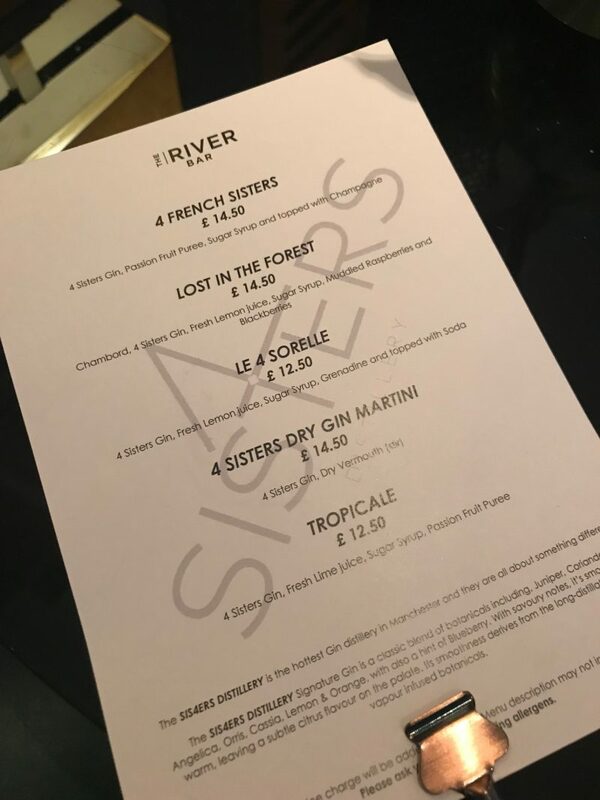 The River restaurant has a beautiful interior – it’s very glamorous from the moment you arrive at the bar, which leads to the dining area overlooking the river. 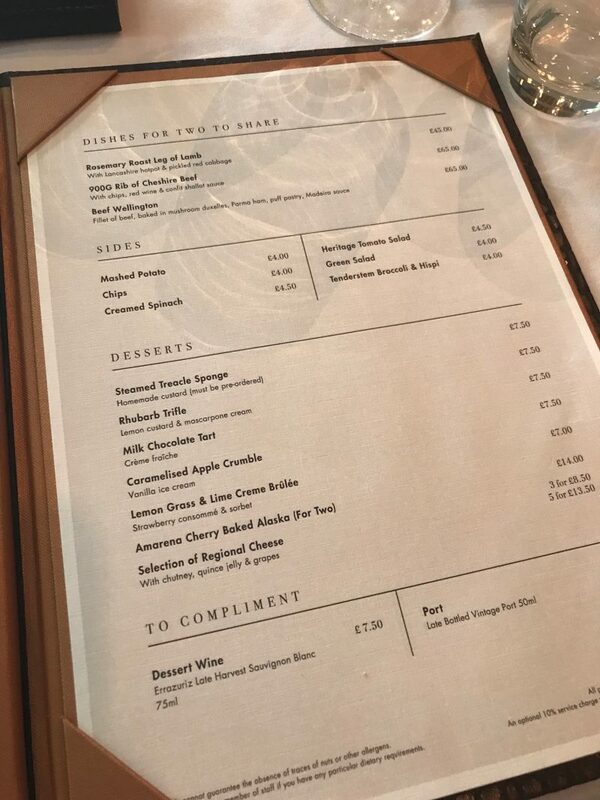 I glanced at the menus, and was pleased to see the meals on offer were time-honoured classics. 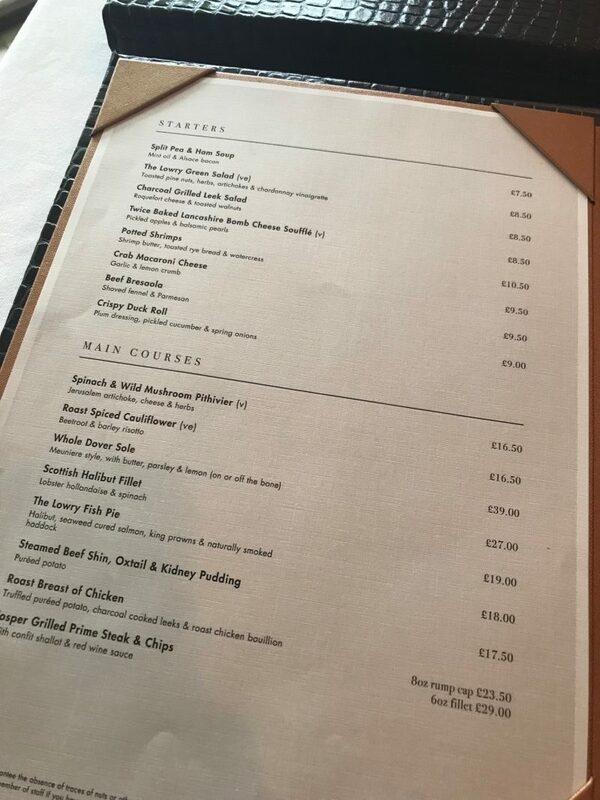 A good old fish pie, a rib of Cheshire beef, rosemary roast leg of lamb, roast chicken, and Scottish halibut fillet, to name a few. 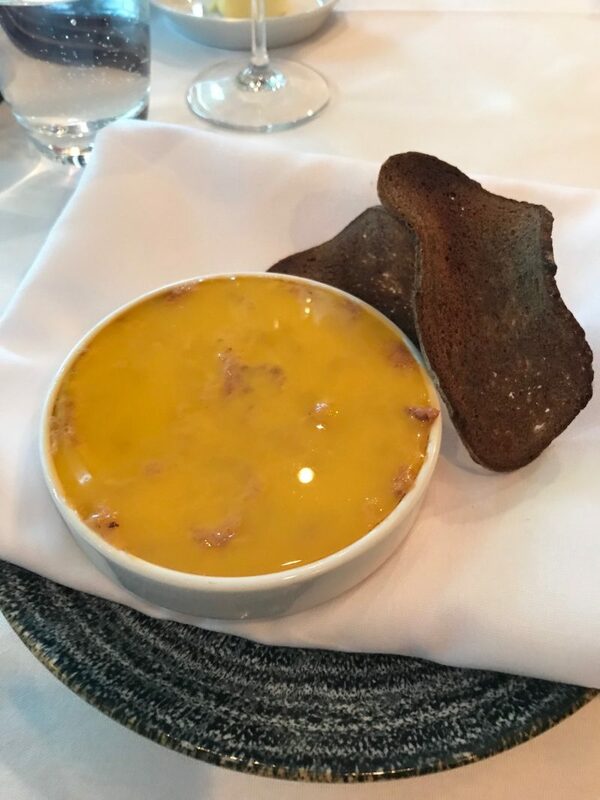 I chose, to begin with, the potted shrimp, which included half a dozen tender brown shrimp, set in a nutmeg-flavoured butter, served with a rye crisp. It was certainly a different take on your usual shrimp starter, as the shrimps were blended with the butter without a sauce, but still had a soft, creamy texture, and they tasted exceptionally good. The butter was melt-in-your mouth, and the portion size was just ideal to kick-start my dining. 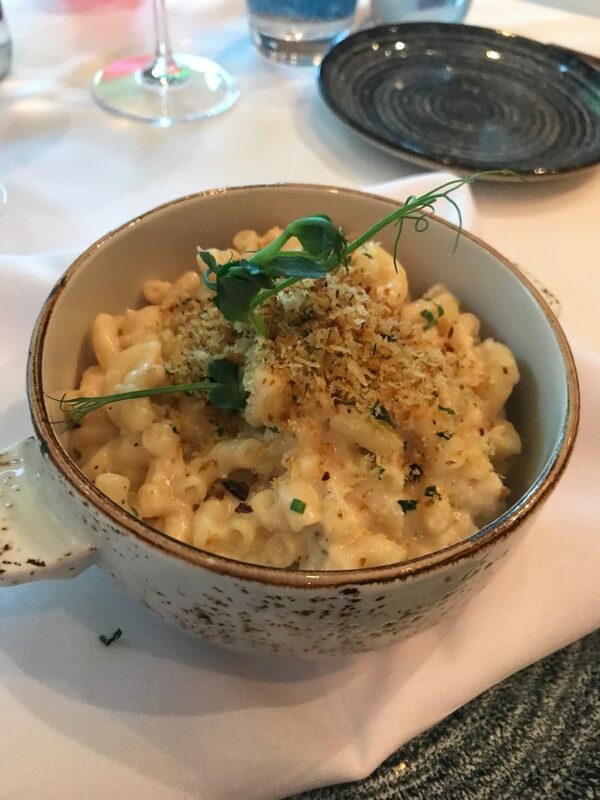 My guest went for the Crab Macaroni Cheese, which again, perfect size, and for it’s narrow pot, it packed in a punch, loaded with twisted macaroni and gooey cheese and crub, with lacings of crab and garnishing. always find it a struggle when choosing a main meal – I love meats, fish and vegetarian dishes all the same. But as I chose fish for my starter, I kept within theme, and decided to try the creamy Fish Pie. What I particularly liked about this is that it isn’t dressed up in cheese and herbs to jazz it up. 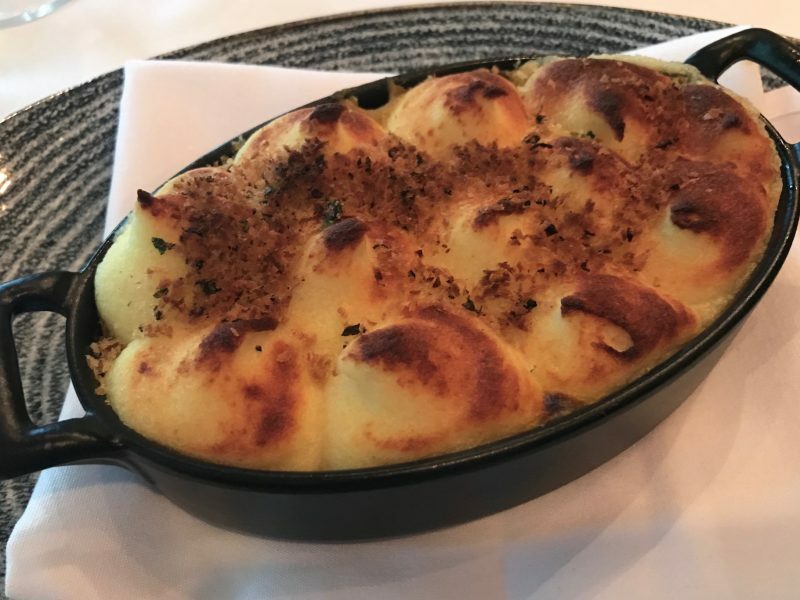 It’s merely what you want to see and want to explore: a range of fine fish muddled in a creamy mash potato, baked. And this is exactly what was served. The pie is packed with king prawns, salmon, halibut and haddock – a medley of all the fish I enjoy, so I was in luck. 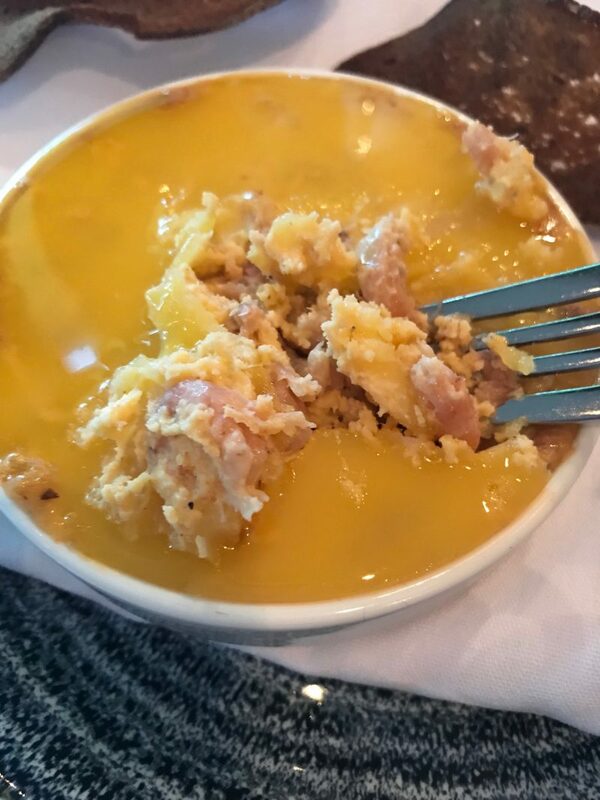 The fish chunks were fairly large, so I cut up a few so they could be blended with the potato more, but overall, this was an extremely tasty fish pie. My guest chose the Halibut, so I guess we both were feeling the seafood side of things this chosen evening. 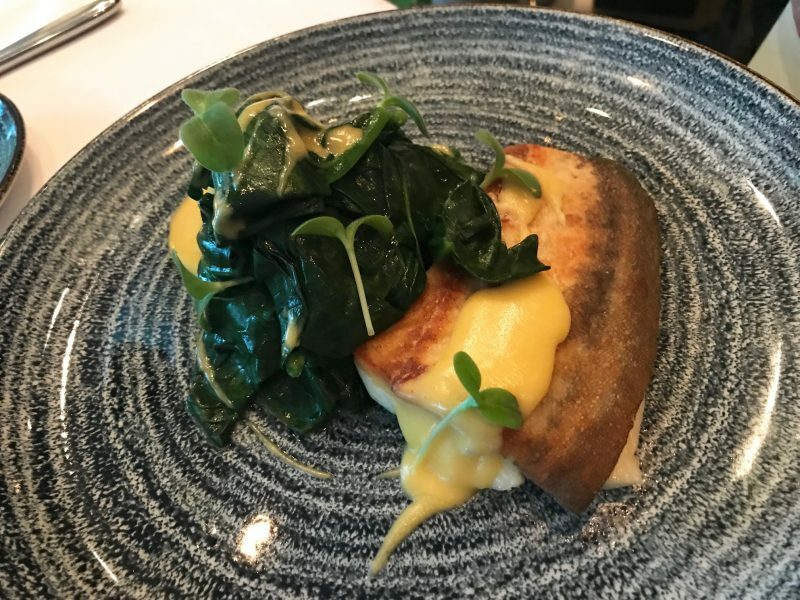 It came with a lobster hollandaise and spinach, and the side order of chunky chips were pretty incredible. I can’t get enough of oversized, crispy, homemade chips. Non of the skinny fries malarkey. We actually – shock horror – skipped on the desserts, which is shocking. Mainly because the portions and quality of the food for both starter and main filled us up and left us that satisfied, we didn’t feel the need to indulge in a sweet. In terms of pricing, it’s to the higher end, but you get everything you expect from this. 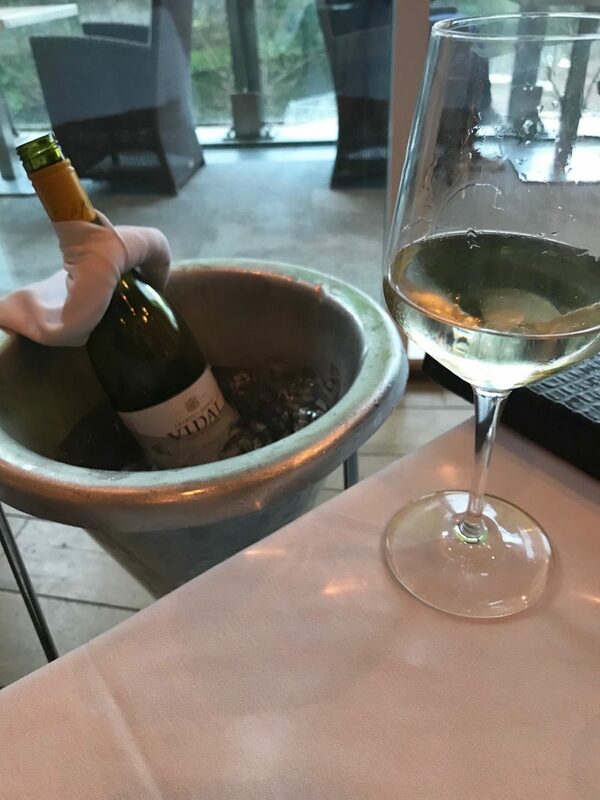 I’d go as far as to say exceptional quality food, brilliant choice, and great service from the staff too. 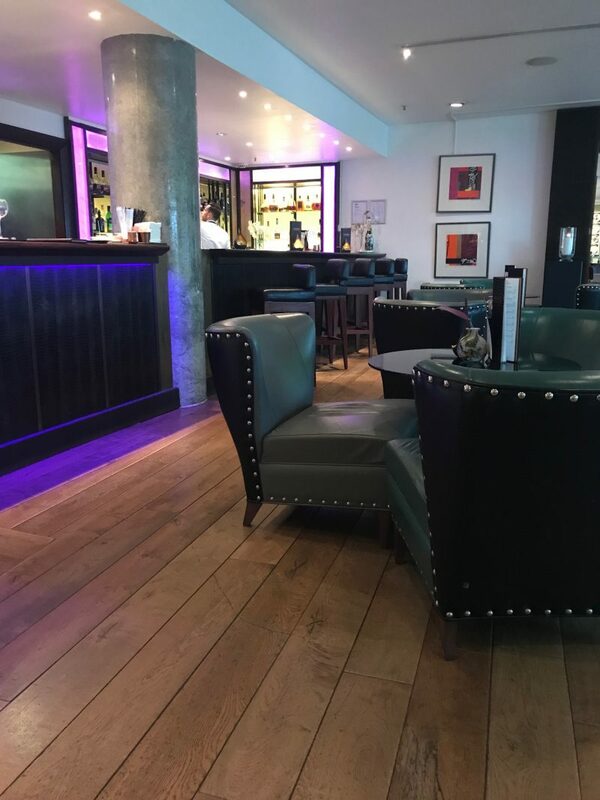 We felt really looked after – the staff were wonderful. We dined on a Tuesday evening at 6.30pm, which was fairly quiet. I can expect this places has a much more livelier ambience from Thurs-Sunday.